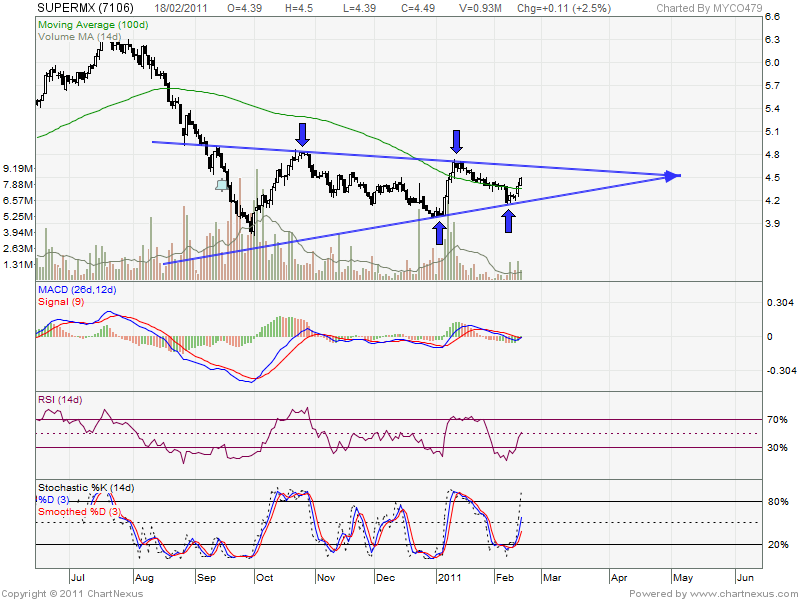 SUPERMAX seem like forming symmetrical triangle. 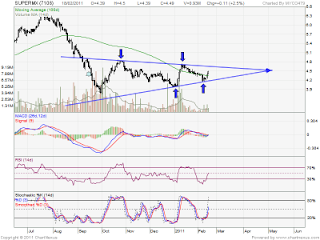 If able break up the triangle, it will retest RM4.82 resistant level & RM5.00 psychology level. Most analysts will take a position once the price breaks through the top line of the triangle with increased volume. As 18 Feb 2011, it closed above MA100 level. Stochastic %K been trigger buy call on 17 Feb 2011. MACD going bullish crossover & might trade above positive region soon. Will it breaks through the top line?